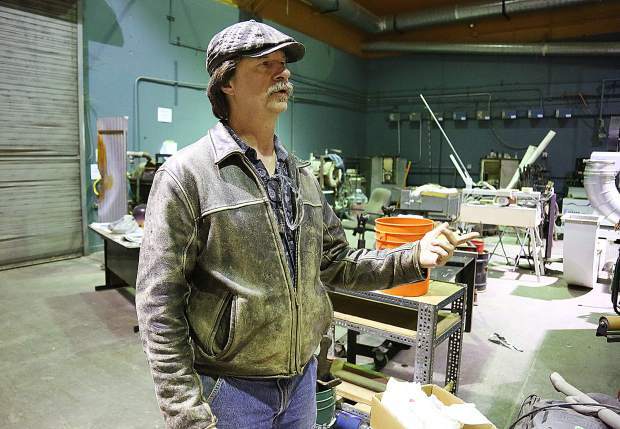 Curious Forge's founder Liam Ellerby shows off some of the changes that have been made and talks about some of the future changes planned for the maker space. Colorful spools of yarn and thread fill the shelves in Curious Forge's new Fiber Arts addition. A spool of yarn is made from scratch with a traditional spinning wheel and strands of sheep's wool. 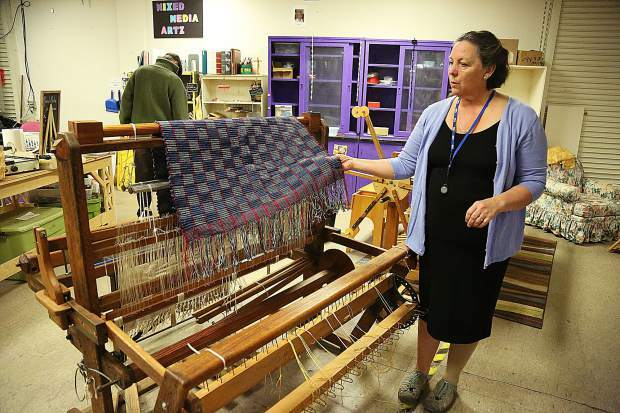 Grass Valley's Leslie Whitcomb throws the shuttle on a donated loom earlier this month at The Curious Forge off of Bitney Springs Road. Leslie Whitcomb shows off a donated weavers loom from the 30s and 40s that was donated to the Fiber Arts program and is very useful. 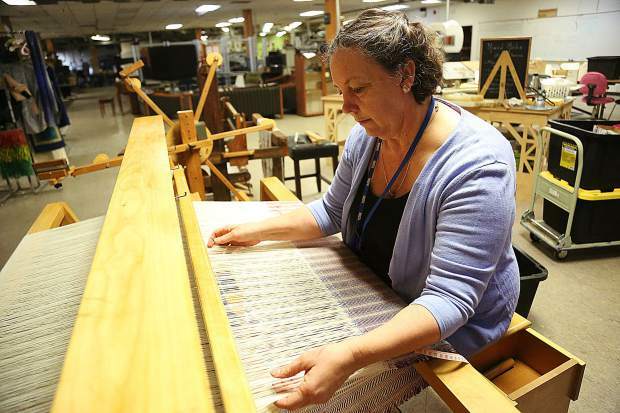 Leslie Whitcomb works on a project on a loom donated to the Curious Forge's Fiber Arts program. Shelves full of knitting supplies are ready for those eager to learn, or wanting to perfect their craft at the Curious Forge's new Fiber Arts program. A shuttle is readied with thread to be used in a loom donated to the Curious Forge's new Fiber Arts program. Margaret Arnold and Liam Ellerby talk in passing at the Curious Forge earlier this month. 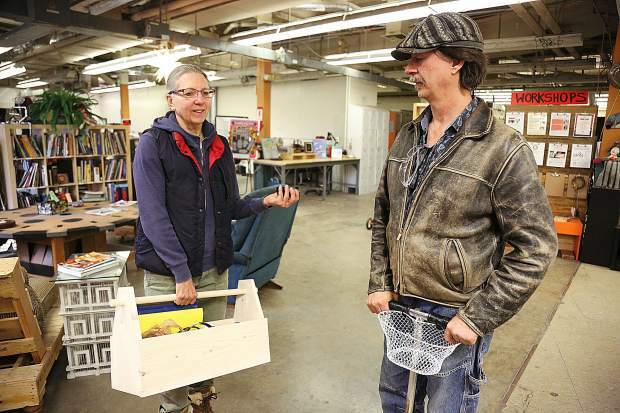 Western Nevada County’s unique and eclectic makerspace, The Curious Forge, is about to become even more diverse with the addition of a fiber arts area and a new instructor/manager. 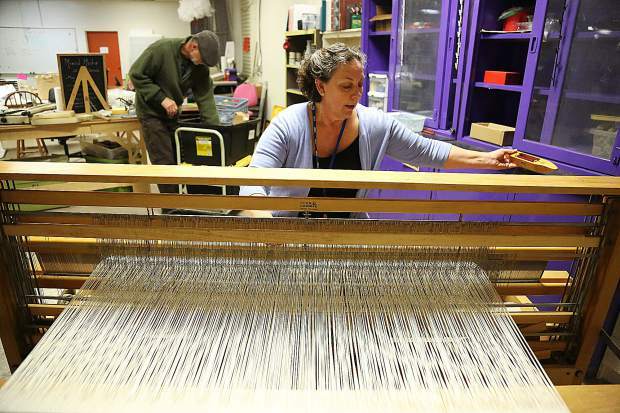 “It’s a new area with great donated equipment,” said Fiber Arts Area Manager Leslie Whitcomb. 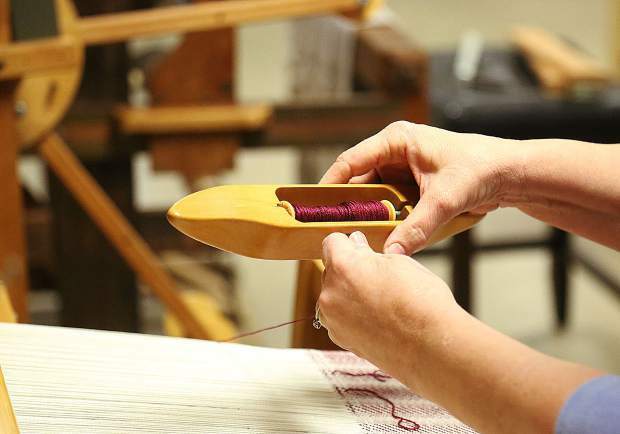 Whitcomb will start offering fiber arts classes at the forge within two months. She will also host a fiber arts open house from 3 to 5 p.m. on Feb. 2. A makerspace is a place where people with similar interests gather to work on projects while sharing ideas, equipment and knowledge. 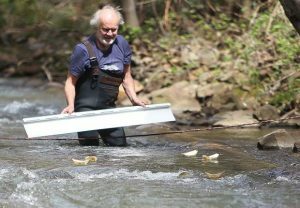 Since The Curious Forge opened in 2011, it has outgrown its space twice as membership and artistic opportunities increased and more equipment was added. 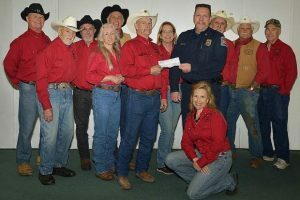 It’s now housed in a 20,000-square foot facility on Bitney Springs Road in Nevada City, and boasts a wide variety of equipment. The space is separated into various areas of interest, and the new fiber arts area joins disciplines such as metalworking, electronics, textiles, woodworking, ceramics, computer numerical control equipment, glass fusing, jewelry making and mixed media. Whitcomb’s fiber arts classes will begin at the end of February. 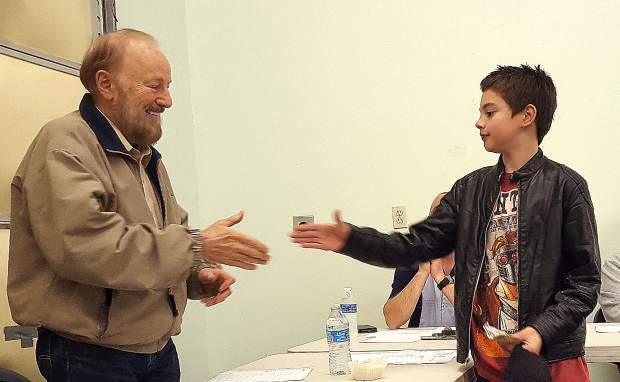 One series of two-hour classes held over four weeks will be geared toward beginners. 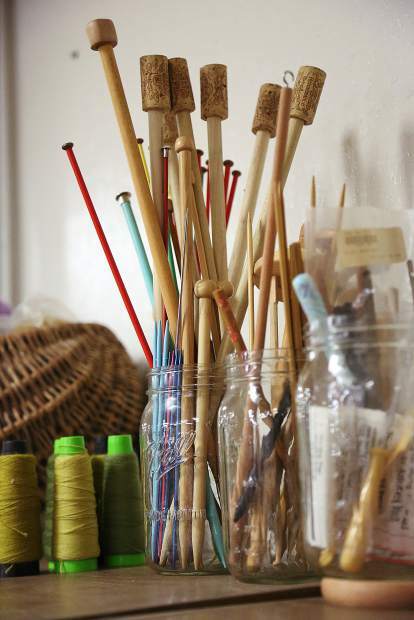 The other series, called an “immersion class,” will target more experienced fiber artists. Each series will cost $125. Until those classes launch, anyone can go to the forge and explore membership options or complete certification training on various equipment. 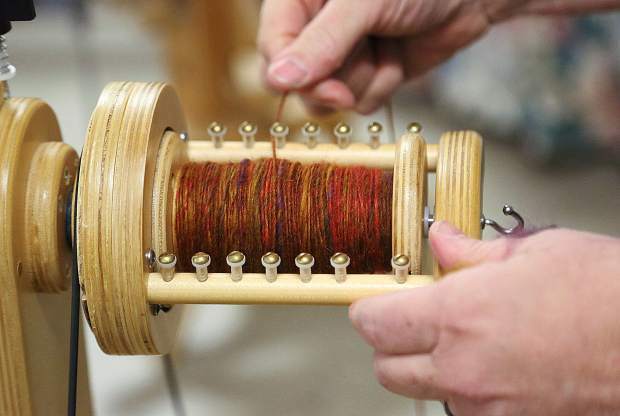 Equipment currently in the fiber arts area includes a variety of knitting needles, three spinning wheels, eight looms and dyeing equipment. Whitcomb knows fibers, especially wool. She operated a sheep farm in Massachusetts for 20 years, networking with other sheep and alpaca producers and designing specialty yarns. She created and sold custom, hand-woven products for the home, such as table runners, rugs and pillow cases. She and her family moved to Nevada County seven years ago. 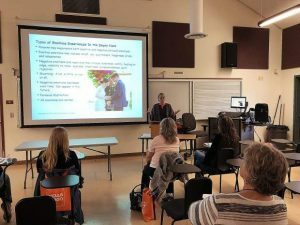 Recently retired from a job as a Child Development Specialist, the 60-year-old said she is eager to continue to use her teaching skills in a fresh, entrepreneurial and creative way. Forge member and volunteer Carla Mira looks forward to adding fiber arts to the painting, crafts and ceramic art she already enjoys. The Curious Forge is open to its 146 members from 10 a.m. to 10 p.m. seven days a week. Memberships range from $75 to $125 per month. Non-members can take classes or attend workshops but don’t have unlimited access to the makerspace and its equipment. 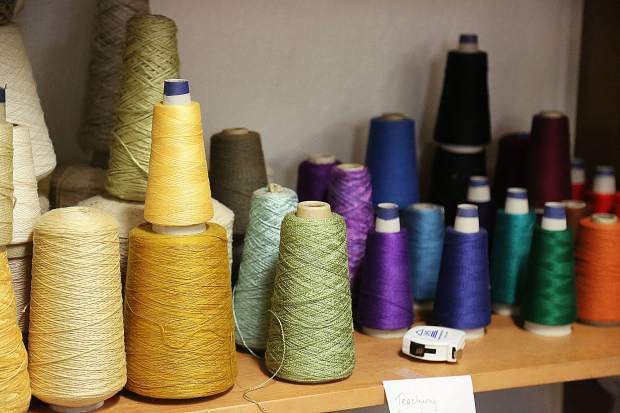 CEO and co-founder Liam Ellerby said the new fiber arts area is a natural fit. For information about the new fiber arts area and classes, workshops, or membership, visit TheCuriousForge.org or call 530-446-2777.